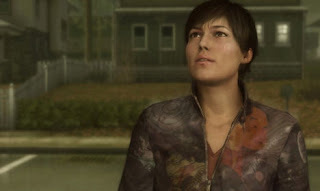 What's most interesting to me about Heavy Rain is that I can agree wholeheartedly with you that the game was momentous, and be glad that it exists and that I played it, without actually having liked it. I thought the game was a failure, but it was the noblest failure I can remember playing, and it got us talking about (mostly) all the right things. One note: you can reload your game and replay it, if you select an earlier chapter and choose the "save" option. You just have to go through a lot of rigmarole to get back to the part you failed. I did this twice. My gamer instincts simply refused to accept my mistakes as anything other than failure that needed to be corrected. I may have completely missed the point of the game, although I'm still not sure whose fault that was. Bad Co 2 may not have the story investment that Heavy Rain has, but it was clear to me that DICE went through pains to make it a better game, story and all, than the first game. I found it fun and silly and interesting, just like the first game, but the environments and missions, while not always sensible and well thought out, seemed less random. It wasn't just a collection of levels, it seems like more of a game. As far as Heavy Rain is concerned, I didn't play it, won't be anytime soon, so I can't speak about it. But I can say I've experience many momentous occasions, in games, books, movies, and even TV shows. They were important, new, and sometimes made me cry, scared the living daylights out of me, or just made me think for days after experiencing them. But they weren't the end-all, be-all experiences. They last more than more experiences, but I can always count on something just as momentous happening again, sometime in the future. I apologize for the many errors in my previous post. I should have spent more time making sure it was error free!